After this Barcelona gift experience you will know the city inside and out. That’s because this is no simple sightseeing tour. Yes, you will explore must-see areas such as the Barri Gotic, the Jewish Quarter and Las Ramblas. But you will also see Barcelona from above, with an exciting short helicopter flight taking you over Port Vell, Barceloneta, the Olympic Village and more. And as if that weren’t enough, you will step aboard a boat for a sightseeing cruise along Barcelona’s beautiful coastline too. Step back into the Middle Ages as you walk from Barcelona Cathedral to the Church of Sant Felip Neri in the Gothic Quarter. Admire the Palace of the Generalitat of Catalonia. Amble along tree-lined Las Ramblas, and take a peek at the stalls of the La Boqueria market. Then at Port Vell, board a stylish Turkish Goleta (or an eco boat during winter) for a sumptuous cruise. 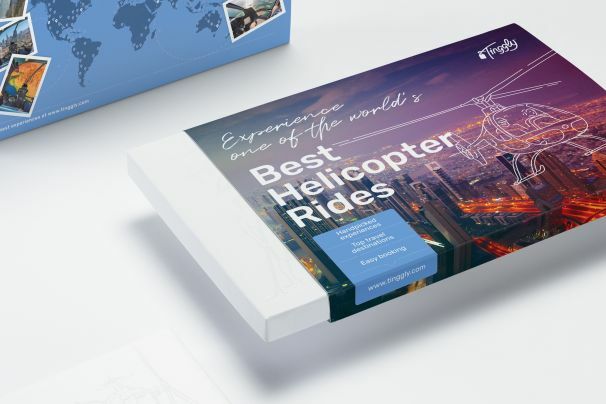 Finally, a van transfers you to the heliport for the crowning glory of this experience, as you take to the skies above Barcelona, for stunning, bird’s eye views of its beaches and famous landmarks such as the statue of Christopher Columbus.